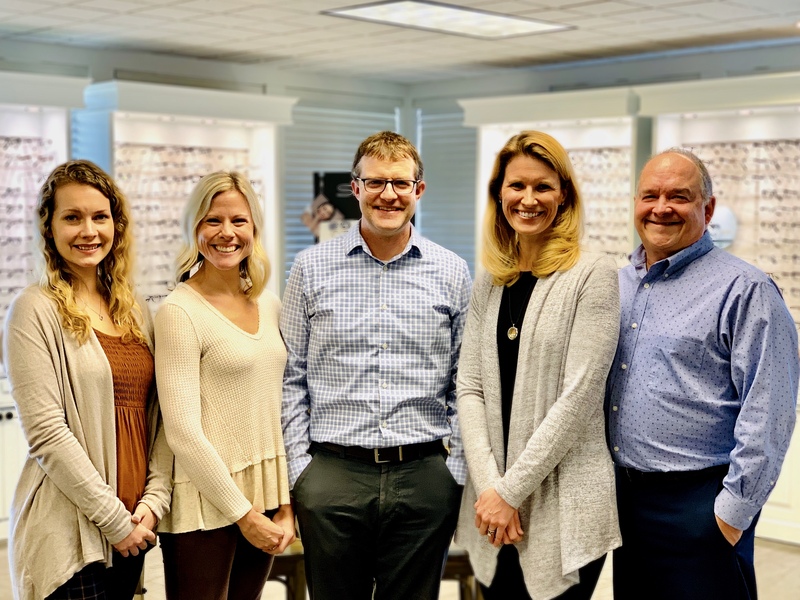 Here at Shamrock, we are committed to providing the highest quality vision care and eyewear. We know how wonderful, inspirational, and beautiful life can be. That’s why we want to be sure you can see every moment as clearly as possible! We are located in the heart of Dublin, Ohio and are open Monday through Friday. We can’t wait to serve you and your family! “I’ve been going here for years but I was especially impressed during my recent appointment when I had to bring my two young children with me. It was very family friendly. There are toys, coloring books, crayons, etc. for little ones and all the staff members were great. I wasn’t sure how the visit would go but you all made me feel very comfortable and welcome. Thank you!” – Elizabeth R.
“I was looking for an eye care practice and had heard such great things from neighbors about Shamrock Family Eye Care and decided to schedule an appointment. I was blown away from their friendly atmosphere and I have felt like part of their “family” ever since. Thanks Shamrock Family Eye Care for your great service and care at every appointment. Top notch!